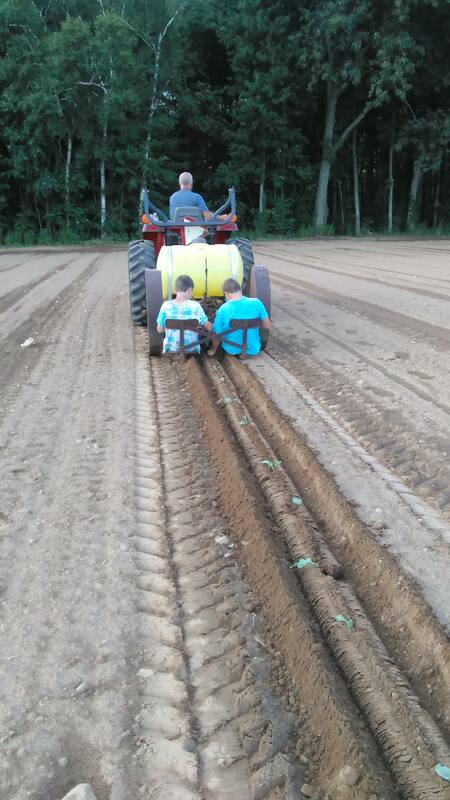 “Serve it forward” is a faith based mission at our farm that was started last summer. I found out how badly fresh produce was needed at our local food shelf. So last year we planted extra rows of some of our crops that could be donated to several area organizations. They include the Enfield Food Shelf, Homeless Veterans Housing in Vernon and a few other places. 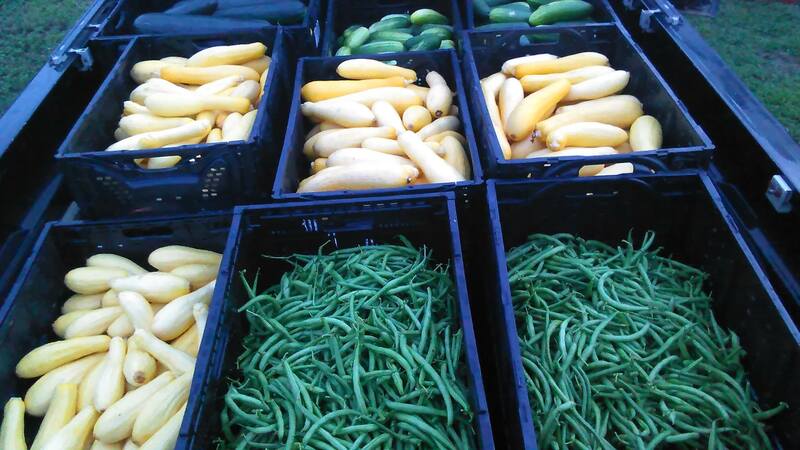 We were able to donate 5 1/2 tons of fresh vegetables last year and it was such a blessing to be able to do that. Wonderful people from Church came one night a week to help pick, wash and pack, it was an amazing experience. This year we have had many challenges with this growing season, my garden hose and I became best friends, fighting to keep some of our crops alive. Then heavens rain came and saved it all! Tonight we were able to have our 3rd picking for the season, I am so happy to say we filled the bed of my truck with beautiful produce and I can’t wait to deliver it tomorrow to the food shelf. Thank-you to all the wonderful people that volunteer to help with this mission , and our awesome customers that support our farm, this mission would not be possible without any of you. 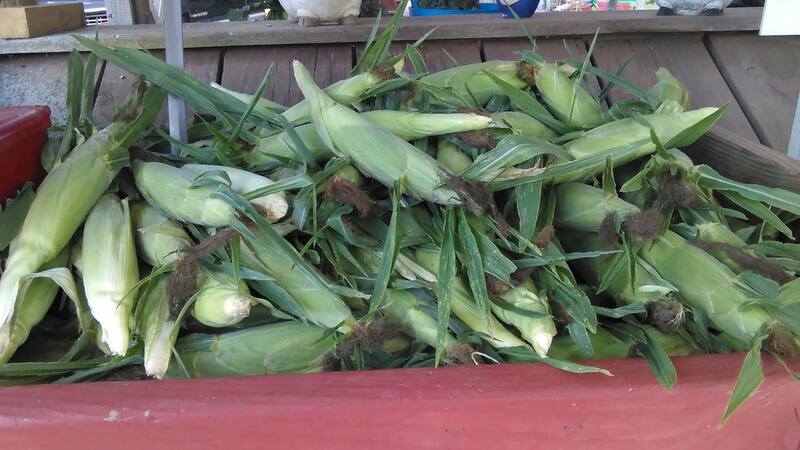 Thank you to everyone that enjoyed our first harvest of corn. We have sold out of our first 3 corn pieces, now we will wait for the next piece to be ready. As you know we have battled the drought so the corn is being harvested in batches. 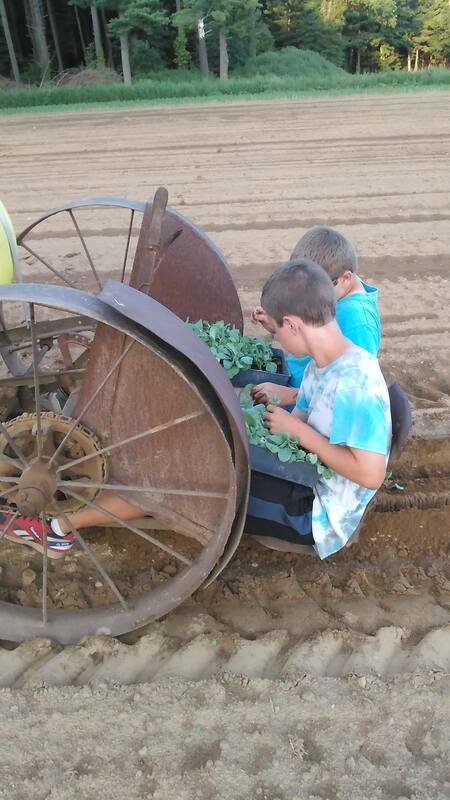 Right now we are planting the fall cabbage and the boys are learning how its done. We will have corn available on the stand about the 10th of August. Thank-you for all of your support and understanding, you are the best customers! We still have all our other veggies , beautiful tomatoes, the next piece of beans should be ready for picking soon. I am so happy to say our corn is on the stand. Over the next few weeks we will have a limited supply of corn daily. 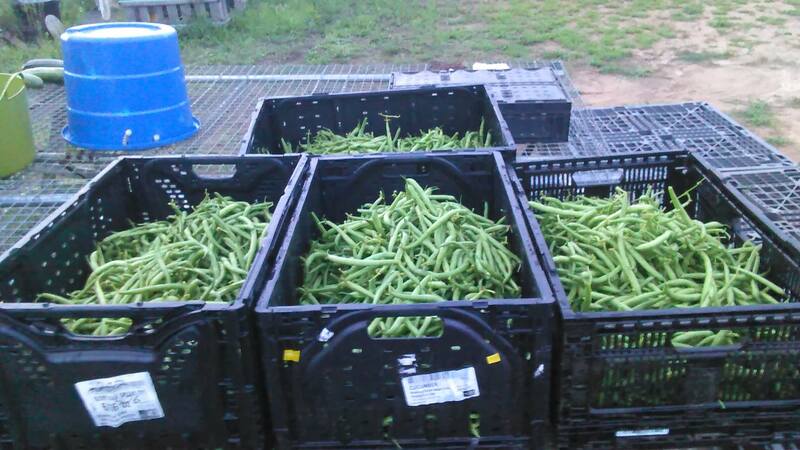 The reduced production is due to the drought we have had, we lost a good percentage of our first few plantings. As mid-August rolls around we should have an abundance of corn through the end of the season. 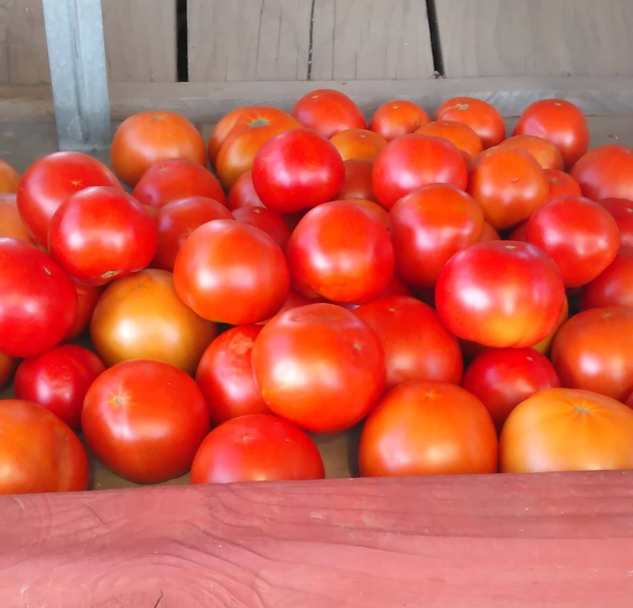 Today we had a big surprise, the tomatoes are here too! I was ecstatic to see a good amount ready to pick. There are not a lot of big tomatoes yet , but they will be coming on quickly . The honor system is still in place at the stand for about another week. You may even see one of my boys up there to make change once in awhile, it sharpens their math skills. As always thank-you for your patience .